Converting of airtime to cash into your bank account is a service which is quite not very popular amongst individuals in Nigeria. 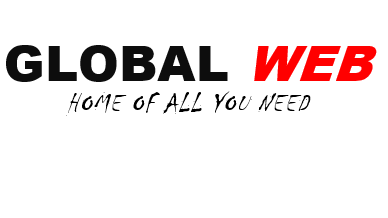 Many doesn't believe if this service exist even though wishing it's possible. I know one way or the other as a bank customer you might have come across the instances either for no, known or unknown reason the savings in your bank account happens to fall mostly very marginally below the withdrawable level, voiding the last card you have.. Hah students will understand this line better. Maybe you mistakenly acummulate happens to have an excess airtime in your phone which you received from your friend, fiance, lovee ones etc. 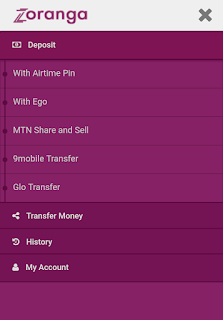 Here we are to show the various ways to convert your airtime to cash in your bank account easily. 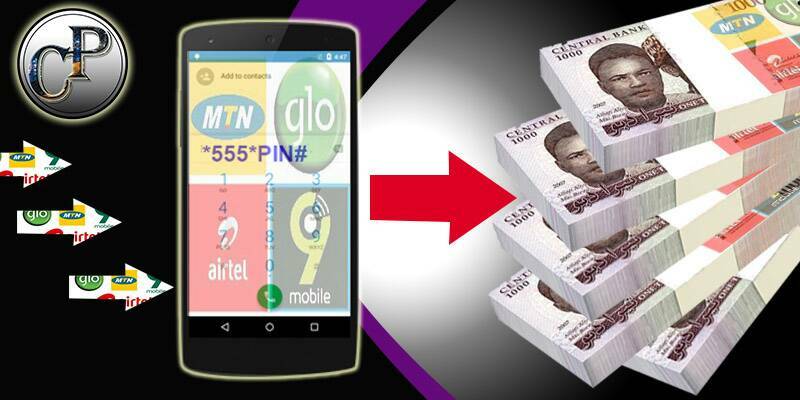 Zoranga has built a standard way for Nigerians to convert airtime to cash. Zoranga's meticulously designed APIs and unmatched functionality help online businesses create a simple way for Nigerians to pay you with airtime. 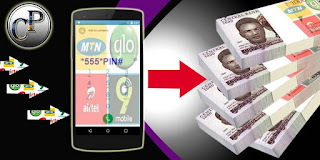 Daily, they convert airtime worth millions of naira to cash for both personal and business customers. Businesses have the reassurance of zoranga's advanced fraud protection and payment protection policy. Select personal account to create a free Zoranga account. 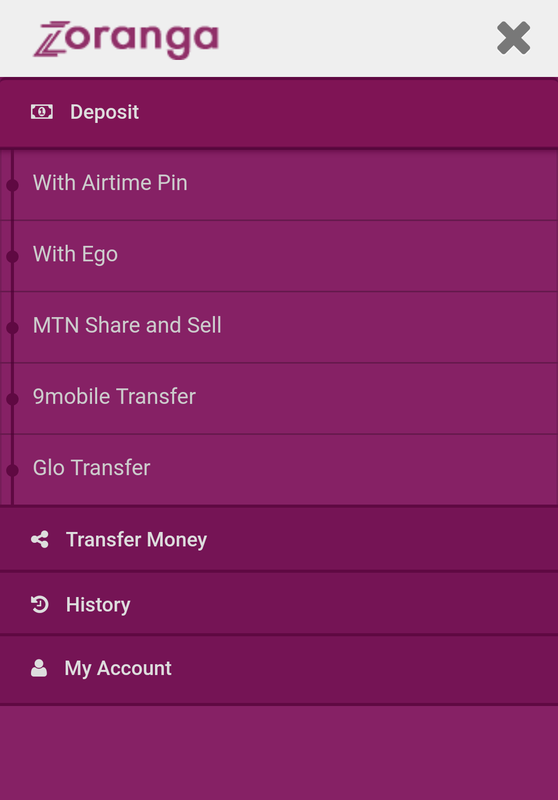 When you are done with the account creation,You can then deposit your airtime as well as receive it as cash/money into your bank account. 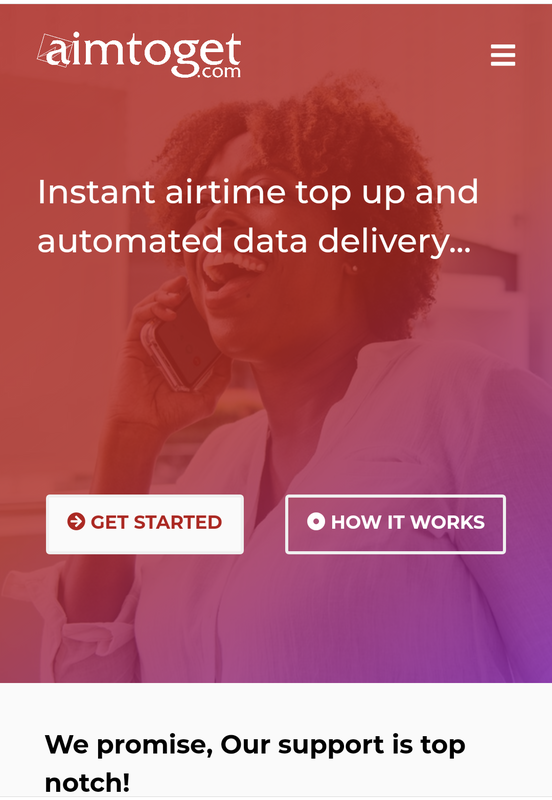 Aimtoget is another service that lets you change or convert airtime of all networks to cash/money in less than 5 minutes. Once you are through with the sign up, you can fund your wallet with airtime as well as withdraw your airtime as cash/money into your bank account with 5 minutes. 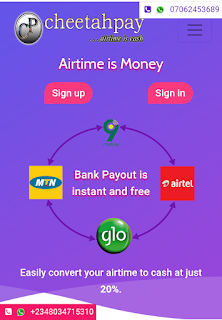 Quick cash lets you convert your airtime to cash without need for creating account with Cheetahpay. 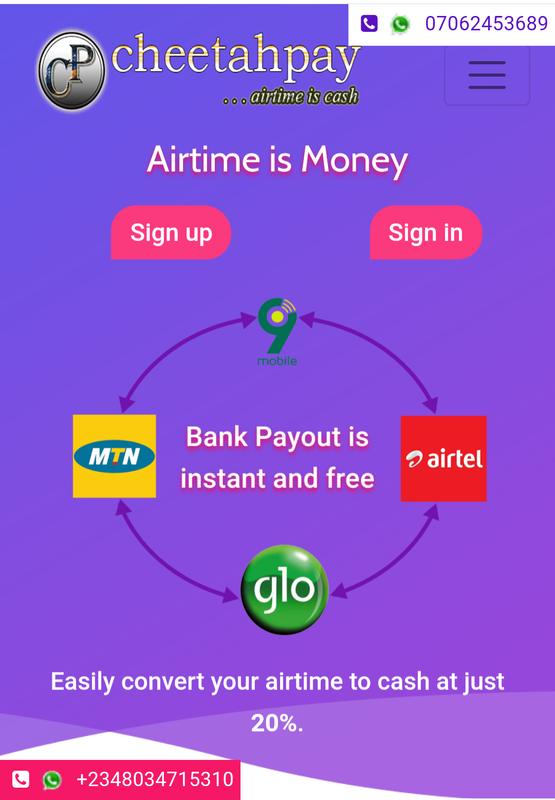 All you have to do is click this link https://www.cheetahpay.com.ng/quick-cash supply the airtime and bank details, your money will be processed and delivered to your bank account as soon as possible. That's all, make your choice and start enjoying the service!